Prime Minister Netanyahu suddenly reversed course and backed a new foreign NGO funding bill after a row with FM Lieberman. Last week Prime Minister Binyamin Netanyahu effectively killed a pair of bills that would limit foreign funding of Israeli NGOs by opposing it in committee - but now he's on the warpath to see a similar bill pushed through. Netanyahu's reversal came after Foreign Minister Avigdor Lieberman on Monday threatened to attempt to pass one of the original bills despite the prime minister's opposition. As a result, Netanyahu’s office found itself racing to find a compromise that both the prime minister and the foreign minister could live with. 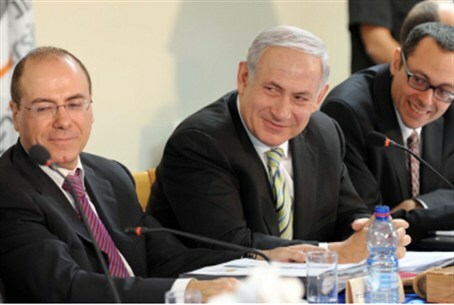 At the request of Netanyahu, MKs Ophir Akunis (Likud) and Fania Kirschenbaum (Israel Beitenu) drafted a new bill that combined their original bills with the stated aim of more clearly defining which organizations are "political." The new bill divides NGOs into three categories and forbids any donations to NGO's that reject Israel's right to exist, incite racism, support violence against Israel, support trying Israeli soldiers or officials in international courts, call for boycotts of Israel, or issue calls for IDF personnel to disobey orders. Donations from within Israel to such organizations will be subject to a 45 percent tax. Political organizations that do not fall in the prohibited category will also have to pay a 45 percent tax on donations, barring a Knesset waiver. Non-political organizations that receive state funding will be tax exempt and may receive unlimited donations from foreign governments. The Ministerial Committee on Legislation is expected to approve the resurrected foreign funding bill in 10 days.